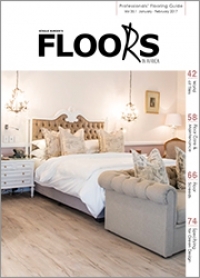 FLOORS in Africa is the only specialised magazine dedicated to flooring on the African Continent, and over the 30 years of its existence it has become an invaluable tool in the hands of the industry professionals. 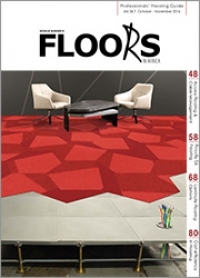 In addition, FLOORS in Africa is highly regarded as being knowledgeable, informative and newsworthy – offering a great launch pad for new concepts as well as providing a ‘first thought’ reference point and compulsive reading for those involved with the industry. The flooring industry enjoys the enviable reputation it has gained for quality, innovation, design, value for money and customer service, and each issue of FLOORS in Africa reflects these values and provides news, views, technical information and in-depth feature articles on every aspect of the industry – products, systems, projects, applications – and includes special features such as Fashion & Design, Trade Insight and more. 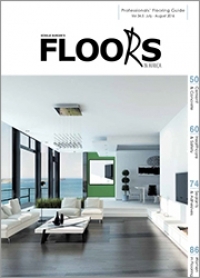 As a member of the dynamic Media in Africa Group, FLOORS in Africa has a circulation of 16 000+, and is read extensively by Architects, Quantity Surveyors, Interior Designers, Interior Decorators, Specifiers, Corporate Buyers, Property Developers, Facility Managers, Building Contractors, Commercial Cleaning Specialists and the trade, with most of these readers regarding the magazine as their primary information source and reference point. 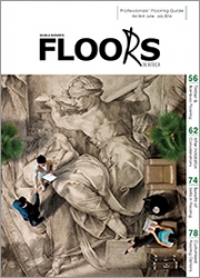 Regular features in the magazine cover the whole spectrum of floorcoverings, including carpets and rugs, ceramic and porcelain tiles, faux and natural stone floors, natural wood, laminates, epoxy and other industrial floorings, exterior surfaces, resilient floorcoverings including vinyl sheet and tiles, as well as providing in-depth information on floors for the healthcare, hospitality, commercial and other main market sectors. This also incorporates a wide range of ancillary materials and equipment such as floor heating systems, access flooring, cable management, dirt-trap matting, trims, installation equipment, screeding materials, epoxies, adhesives, finishes and cleaning materials and equipment. FLOORS in Africa regularly receives enquiries and accolades from the professionals within the industry, as well as the major manufacturers and suppliers in the flooring industry who regard it as compulsive reading. Many success stories have emanated from those who have used FLOORS in Africa as a catalyst for their marketing and promotional programmes, so it makes sense to ensure that our magazine is the first to be considered when planning your advertising and editorial campaigns. Your investment in the South African flooring industry can prove to be a huge success, and advertising in FLOORS in Africa can assist you by bringing your name to the attention of the decision makers. 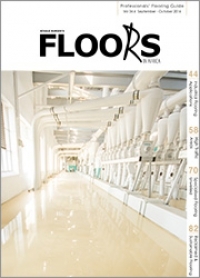 FLOORS IN AFRICA is also available for touchscreen devices, Android Devices, iPad, iPhones, laptops and desktops. Visit www.freemagazines.co.za for your free copy!